A newly published paper shows that one particular type of brain training exercise—called “speed of processing training” in the study—cut the long-term risk of dementia by 29%. This is a big deal: it’s the first study to show any activity or drug to do that. While other studies have shown that people who exercise, eat well, and have cognitively stimulating lives have a lower risk of dementia, scientists have never been sure if healthy living reduces dementia risk, or if it's just that people who aren't on the way to dementia are the ones who can still engage in healthy activities. These new results are from a gold-standard randomized controlled clinical trial—and allow scientists for the first time to say that doing the brain training directly reduces the risk of dementia. The new paper is based on data from a large 10-year study called the ACTIVE trial. (ACTIVE stands for “Advanced Cognitive Training for Independent and Vital Elderly.”) In the ACTIVE study, scientists split the research participants into three groups: some people did the speed of processing training, while others did memory or reasoning training. Only the speed training had this effect on dementia risk, meaning that the specific type of brain training truly matters. 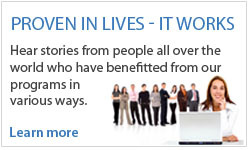 So does how much training people do. In the ACTIVE study, some participants completed 10 hours of the training, while others completed up to 18 hours (the original 10, plus two 4-hour “boosters”at later times). The researchers found that overall, people who trained with the speed of processing training cut their long-term risk of dementia by 29%. But those who trained the most cut their risk even more: the highest dose showed a 48% reduction. 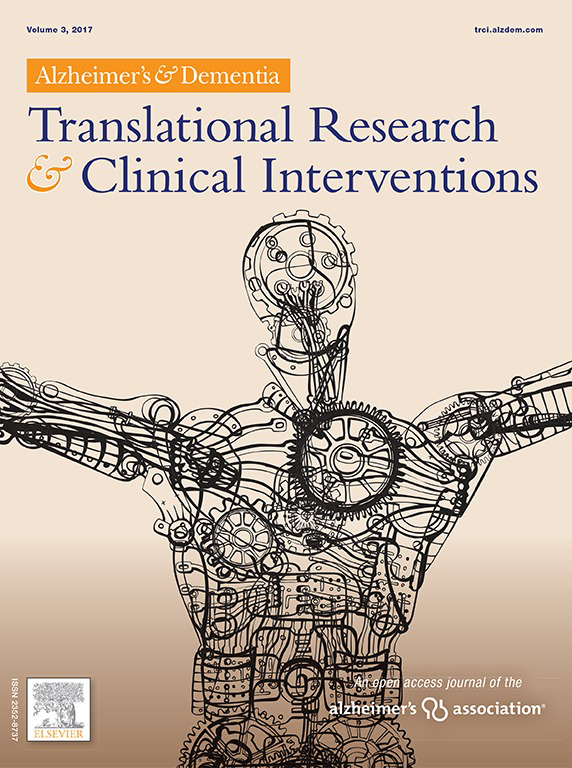 For detailed information about the new paper and the ACTIVE study, see the FAQ. You can also read the paper online. What Is Speed of Processing Training? 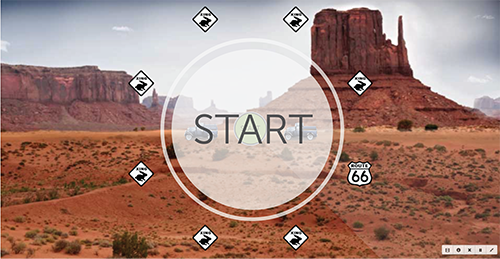 Speed of processing training is an online cognitive training exercise that increases visual processing speed. It was originally developed by Dr. Karlene Ball and Dr. Daniel Roenker. Now, it is exclusively available as the exercise “Double Decision” in BrainHQ. Double Decision is designed to improve the speed and accuracy with which the brain can process visual information, both at the center of gaze and on the periphery. And try the exercise yourself. 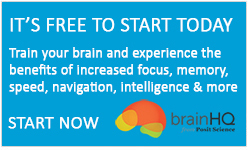 BrainHQ is an online brain-training system built by Posit Science. The program is provided in Canada in English and French by its Canadian partner, DynamicBrain based in Ottawa, Ontario. DynamicBrain also provides the French version of the program to French-speaking countries globally. The program features 29 exercises that work out attention, memory, brain speed, intelligence, navigation, and people skills. 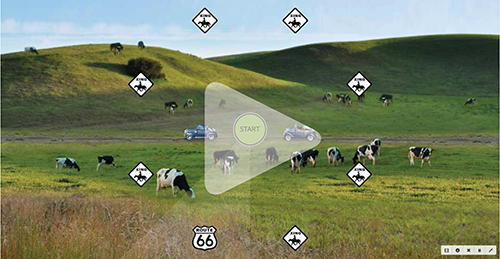 Double Decision—the updated version of the speed training used in ACTIVE—is one of them. 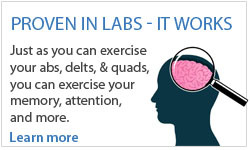 Various exercises in BrainHQ are proven in labs and in lives to bring real benefits to brain health and fitness. More than 100 papers have been published in scientific journals, such as the Journal of the American Medical Association, on the BrainHQ exercises and assessments.